A staggering 72% of consumers prefer communication with companies to happen through email. Growing your email list is essential, but only the quality email list will ensure that your marketing messages are reaching the right audience. A clean list is worth so much more than a list with bad email addresses. How to keep your list clean? To choose between the two options, just click on the ‘Contact Lists’ icon. Select a list and then go to the ‘Parameters’ option on the menu on the left and choose the double opt-in from a drop down menu in List type section. Soft bounces - When your message was not delivered because, for example, the subscriber’s inbox was full. Depending on your mailing frequency, we suggest deleting addresses that have generated at least 4 consecutive soft bounces. Hard bounces - When your message was “returned to sender” because of an invalidity (typically an address or domain that does not exist). We recommend deleting these addresses after 1 hard bounce. How to Remove bounces automatically in FreshMail? Go to your account settings and choose contact list and in a section Automatically change a subscriber's status to bouncing pick appropriate numbers from the drop down menu. Statistics show that up to 25% of your email list will drop off each year. Some will opt out and some will just remain inactive on your list. Lopping off non-clickers from your list won’t help your deliverability. 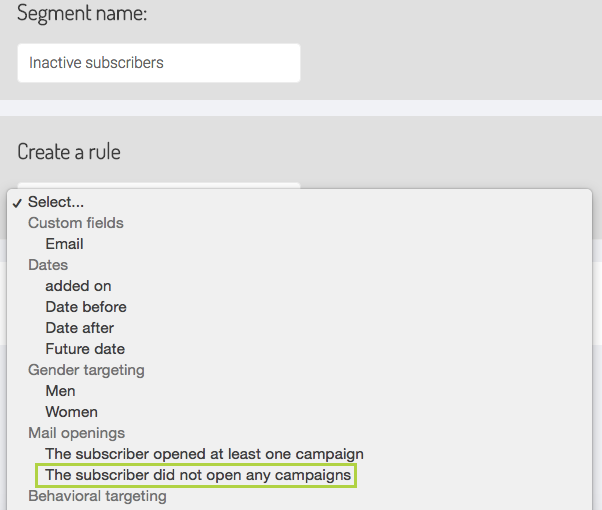 How to do remove inactive subscribers in FreshMail? The fastest way to find subscribers who haven’t opened your campaigns - or particular campaigns - is to create the appropriate segment. When you create a segment, it’s easy to export the addresses it contains. 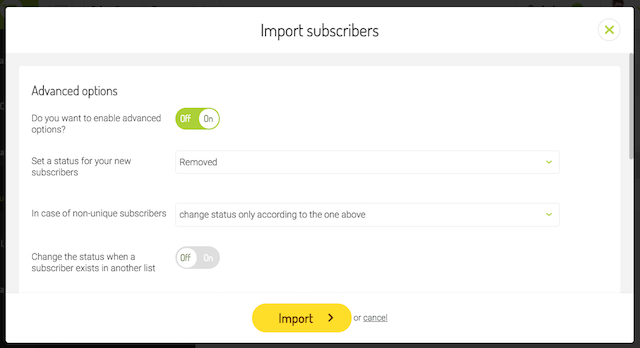 Choose Export list and expand the export options to export only the subscribers from a given segment. 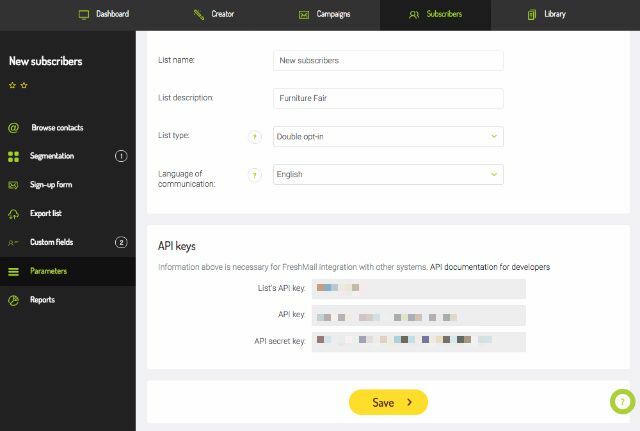 Next, import the segment of subscribers from your file to your lists changing the status for new addresses to removed and in the field “In case of non-unique subscribers” select Change status only accordingly to the one above. Don’t try to hide the unsubscribe link at the bottom of your email. If at any point someone no longer wishes to receive your emails, it’s much better in the long run to lose him, than risk a spam complain or poor deliverability.